Eric Church performed in 2016. 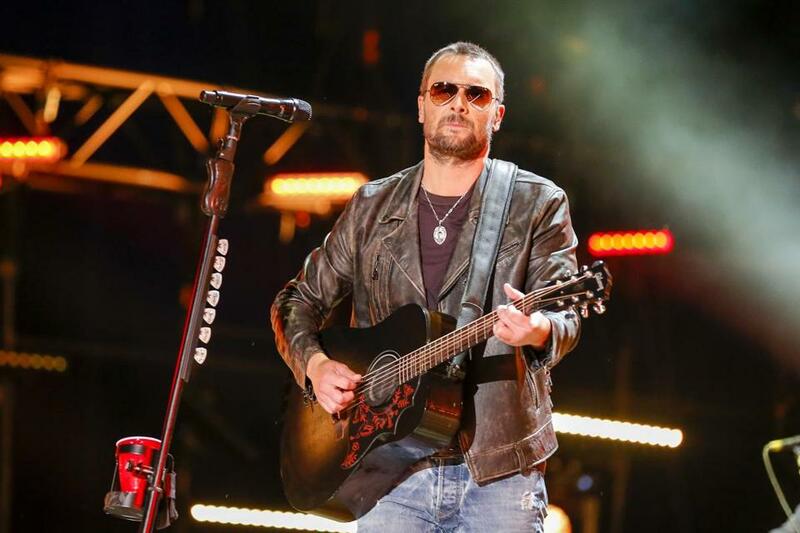 Eric Church is as passionate a singer-songwriter as you get in Nashville, but he’s not known for being emotional: During every concert, he shields his eyes behind his signature sunglasses. But Wednesday night at the Grand Ole Opry, Church couldn’t hide his emotions as he talked about headlining the Route 91 Harvest festival in Las Vegas last Friday night, two days before a gunman killed 58 people and injured hundreds in the audience. He broke down as he remembered the fans joyfully basking in the music. ‘‘I saw that crowd. I saw them with the hands in the air ... and what I saw, that moment in time, was frozen. There’s no amount of bullets that can take it away,’’ Church said, his voice breaking. He turned away from the microphone and tried to compose himself. He also paid tribute to Sonny Melton, a 29-year-old surgical nurse from Tennessee who died in Las Vegas while shielding his wife, Heather, from the shooter. Heather Melton told CNN that they went to the festival because Church would be there, and they had tickets to see him at the Opry on Wednesday. Church turned the crowd’s attention to their two empty seats. And I was so moved by it, mainly because I looked at them and went, ‘‘This is my crowd. I’ve seen this crowd all year. They’re mine.’’ It came from all over the country because it was our last show. I did something different on the last song, on ‘‘Springsteen.’’ I jumped down on the speaker and I went down, actually on the floor. It was a high stage, so I actually jumped out on the ground. There was a little row that split the crowd and it went all the way to my front-of-house guy, split the crowd on either side. The crowd was on the right side, the crowd was on the left side. And 48 hours later, those places that I stood was carnage. Those were my people. Those were my fans. And then she said, ‘‘We have tickets for the Grand Ole Opry tomorrow night.’’ And as I - over here, Section 3, Row F. If you’re there, if you’re in Row F, there’s some empty seats, and that’s their seats. And I’m gonna tell you something. The reason I’m here, the reason I’m here tonight, is because of Heather Melton. Her husband, Sonny, who died. And every person that was there. Because let me tell you something, I saw that crowd. I saw them with their hands in the air. I saw them. I saw them with boots in the air. And what I saw, that moment in time, was frozen. There’s no amount of bullets that can take it away. None. That night, something broke in me, on Sunday when that happened. And the only way I’ve ever fixed anything that’s been broken in me is with music. So I wrote a song.